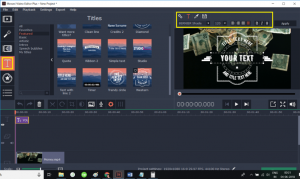 So, you want to edit videos? Better gear up to invest thousands of dollars in monster machines with massive processing capabilities. Videos are enormously popular because they can cram pages of text or hours of conversations into two-minute clips. They just convey information better. But it is this media intensive nature of videos which makes editing them on flimsy laptops a nightmare. If You’ve Ever Edited Videos on Laptops You Know…. 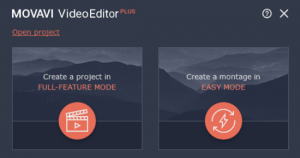 You can’t use applications in tandem with video editors. There isn’t enough memory or processing power available to do so! But what if we told you that there is solution capable of bypassing these issues? That a video editor can play nice with a sleek laptop, making the most of its components yet respectfully using the CPU cycles for perfect, on time edits? 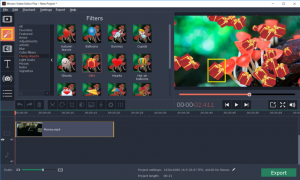 Movavi Video Editor is an application designed keeping on-the-go, laptop wielding editors in mind. 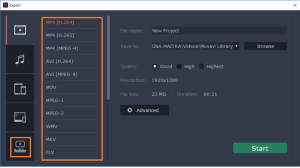 Let’s show you how movies in a several dozen formats can be tweaked and exported with Movavi. 1. Launch the application by clicking the icon on the laptop home screen. From the get go, resource conservation drives Movavi. This is why you can either choose the Full Feature Mode or the quick and light Easy Mode for stunning montages. Why open up a plethora of features if all you need is a pair of scissors for a clean split? 2. The next step is to import pre-recorded video files and lay them out on the editing timeline for enhancements. To do this, click the icon that resembles a YouTube play button to the left of the Movavi modal. Main feature categories are stacked in a vertical, easy to grasp menu to the left, leaving the traditional top navigation for less used functionalities. We tend to read from left to right, and this the reason why Movavi users “get” their way around the application lightning fast. Pick from the menu of import options. Add Media Files allows you to access files on the hard drive of the laptop. You can also shoot video on the fly with the laptop camera and by clicking the option “Record Video”. Need to capture your screen as you walk viewers through a tutorial? “Record Screencast” does that for you, without pushing you to download and install extra software. 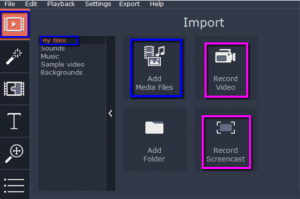 Finally, “Sounds”, “Music”, “Sample Video” and “Backgrounds” further free up your laptop memory because you can assemble movies with the stock visuals library of Movavi that comes built into the app. 3. Home shot footage isn’t perfect. 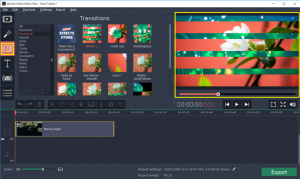 That is why Movavi offers an array of basic editing tools to smoothen the rough edges. Imported clips show up on the editing timeline and right above this timeline lies a cluster of eight icons. Use the scissor icon to split larger clips into smaller sections. Overlay chosen clips with a custom voice-over. Just click on the microphone icon. Want more vibrancy in your videos? Adjust colour and hue saturation of scenes with the colour wheel. 4. You’ve made your way to the part of video editing that is the most resource hungry – the addition of filters and effects, post recording. Movavi handles this with aplomb thanks to its point and click interface which makes implementation a breeze. Click the icon that resembles a magic wand and choose from 12 categories of filters that are kitschy (think flying animals) or sophisticated (think light leaks) or downright retro (think vignettes). Click the icon that looks like a jigsaw puzzle and reveal 12 categories of transition effects. These help clips melt into one another – often seamlessly and often in ways that grab attention. Transitions make or break any movie and with Movavi you can apply subtle artistic transitions, bold geometric transitions or quirky warp transitions. The T icon encourages you to add titles and credits in a variety of styles – from basic to artistic. There is a category dedicated to speech bubbles as well. You can customize everything about these insertions – from font colour and style to alignment. 5. Finally, it is time to Export your handiwork. Just click the big green “Export” button to the bottom right of the modal. You can also directly upload movies to YouTube, without downloading the video file. This saves both memory and processing power. Movavi is compatible with literally dozens of formats, including the most commonly used MP4 or the rarer 4K HD output designated for television viewing. Do you happen to know of an editing solution that boasts the same qualities as Movavi? It truly is the best software to edit video on a laptop!